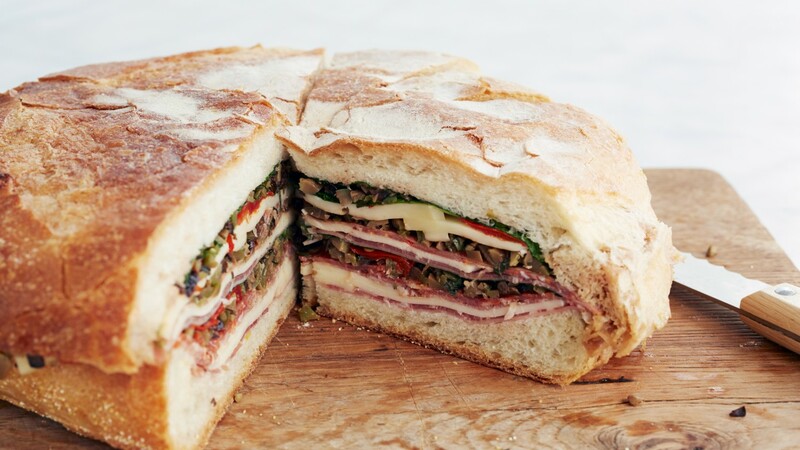 This uncomplicated bread is quick to mix and bake and what is used when making an authentic Muffuletta Sandwich, the ultimate make-ahead picnic sandwich. Line a large baking tray with a Wizbake baking sheet and set it aside. Form the dough into a round loaf about 25 cm in diameter and place it on a the lined baking sheet. 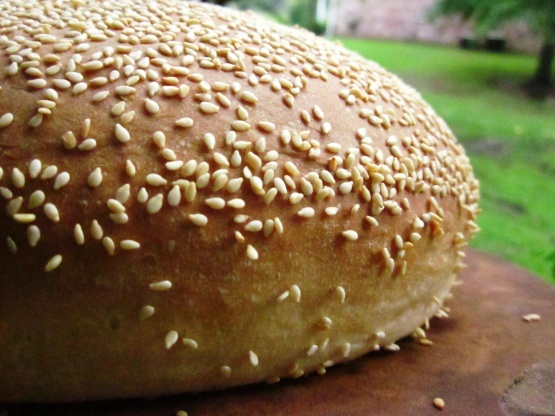 Sprinkle the top of loaf with sesame seeds. Press seeds gently into surface of loaf. Bake the bread for 15 minutes. Reduce the temperature to 180 ° C and bake 30 minutes more until the crust is browned and the breads sound hollow when tapped on the top crust. A metal skewer should come out clean if bread is cooked through. Cool completely on a cooling rack before assembling a Muffuletta Sandwich. This very contemporary way of serving a low-kilojoule chicken and salad sandwich would be ideally suited for a casual meal on the patio with friends and family. 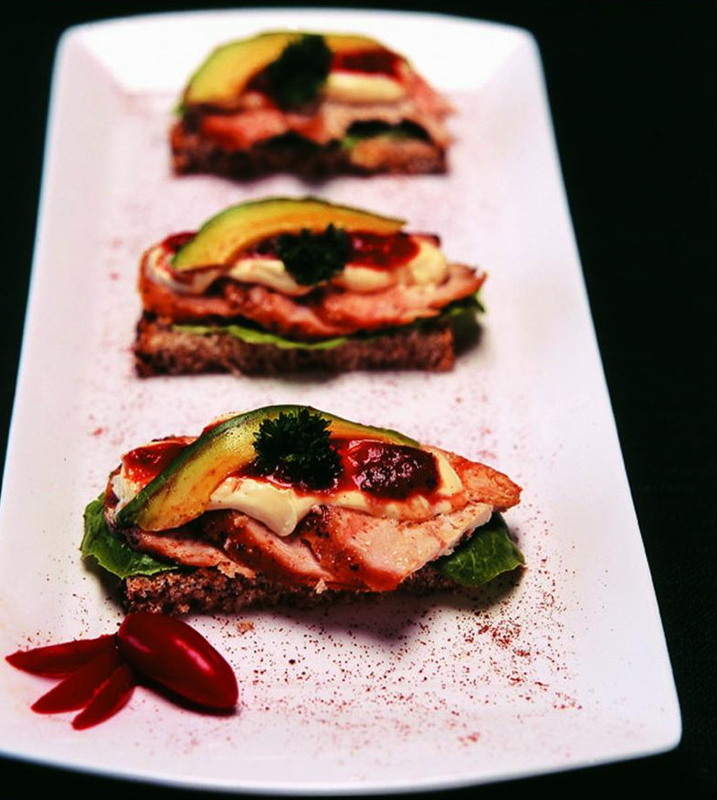 Prepare an open sandwich for a light meal or a stacked sandwich for a more substantial feast. Flatten the chicken breast fillets with a mallet or rolling pin to 10 mm thick. Combine all the ingredients for the spice mixture and sprinkle over the breasts and set aside or cover and refrigerate until ready to fry and serve. In the meantime, butter 6 to 12 slices of bread or enough for 6 to 12 servings. 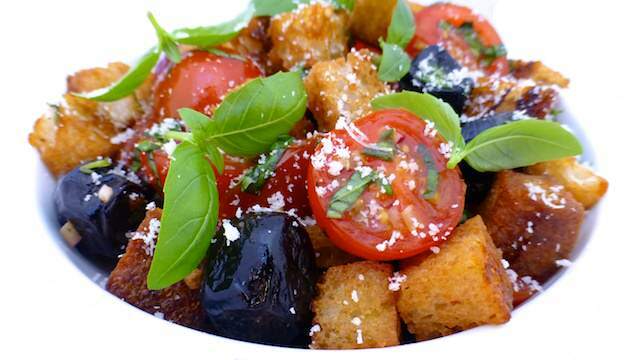 Arrange the bread on a large serving platter or individual plates and top neatly with the salad ingredients. Spoon soured cream and tomato salsa into small bowls and keep refrigerated until required. Het the butter until moderately hot and fry the chicken breasts for about 3 minutes on a side or until nicely browned and thoroughly cooked but not dry. Keep warm until ready to serve and slice into slightly smaller portions if preferred. Place the the hot chicken on top of the salad, spoon over a little sour cream and scatter a few shreds of lettuce, spring onion, avo, etc. Serve immediately, passing around the remaining soured cream and salsa. Recipe by Carolie de Koster from the Art of Cooking recipe book p. AOC p. 28. 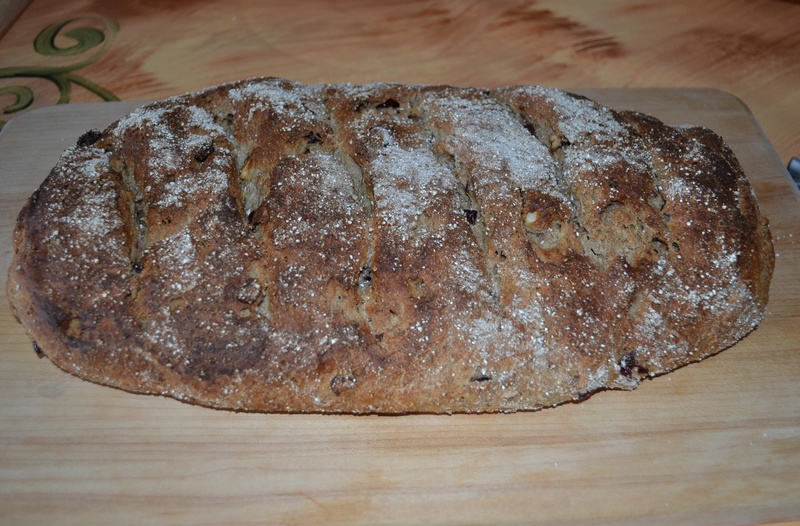 This bread is a great alternative to bread made with bread or cake flour. Pre-heat the oven to 175 º C and grease a small loaf tin (10 cm x 20 cm) with butter. Combine the almond flour, coconut flour, psyllium husks, sugar or xylitol, salt and baking powder in a large mixing bowl and mix until combined. Combine the eggs, coconut oil or butter and vinegar in a measuring jug and whisk it with a fork to combine. Transfer the batter to the loaf tin and bake for 30 minutes. Set the tin aside to cool for 10 minutes. Transfer the bread to a cooling rack to cool before transferring it to a serving dish or storing it in an airtight container. French toast is the champion of brunch. Nothing says “weekend” like tucking into crispy triangles of bread dripping with syrup or honey. In France, French toast is referred to as “pain perdu”. It is referred to as “lost bread” because it is a way to reclaim stale or otherwise “lost” bread. 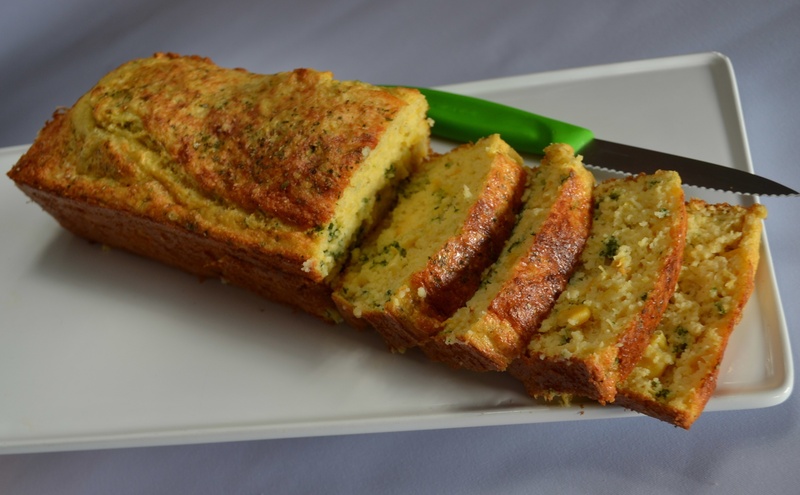 The hard bread is softened by dipping it in a mixture of milk and eggs, and then pan-fried in butter. It is served with a dusting of icing sugar and jam or syrup. It is also known as eggy bread, gypsy toast or omelette bread. In France, pain perdu is served as a dessert, a breakfast or an afternoon tea snack. See my post “New Foodie Movie: French Toast” for info on this South African movie that will be released on 24 April 2015. If you haven’t been to Paris, France, it will feel as if you’ve been after you have seen it through Lise’s eyes! 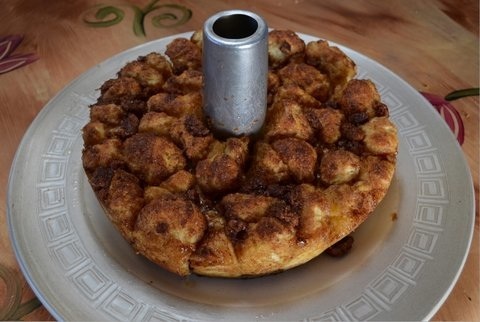 Be sure to also try Carolié’s recipe for Baked Apple French Toast. Beat together the eggs, milk and vanilla essence in a mixing bowl. Set it aside. Place the bread in a shallow baking dish large enough to hold the bread in a single layer. Pour the egg mixture over the bread and soak for 5 to 10 minutes. The soaking time will be determined by die denseness of the bread – the denser the bread, the longer it needs to soak! Turn the slices over and soak for about 10 minutes more. Heat the butter in a non-stick frying pan over medium heat. Fry a few of the bread slices at a time in the pan until golden brown, 2 to 3 minutes per side. 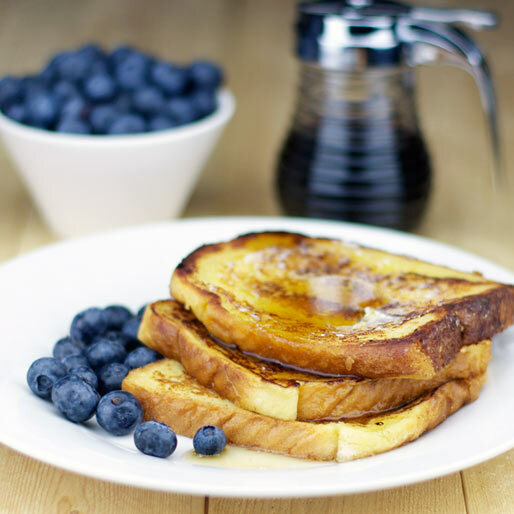 Transfer the french toast to a serving dish and keep warm while cooking the remaining slices of bread. Keep the french toast warm in oven until ready to serve. Serve warm with syrup, a dusting of icing sugar and fresh fruit. 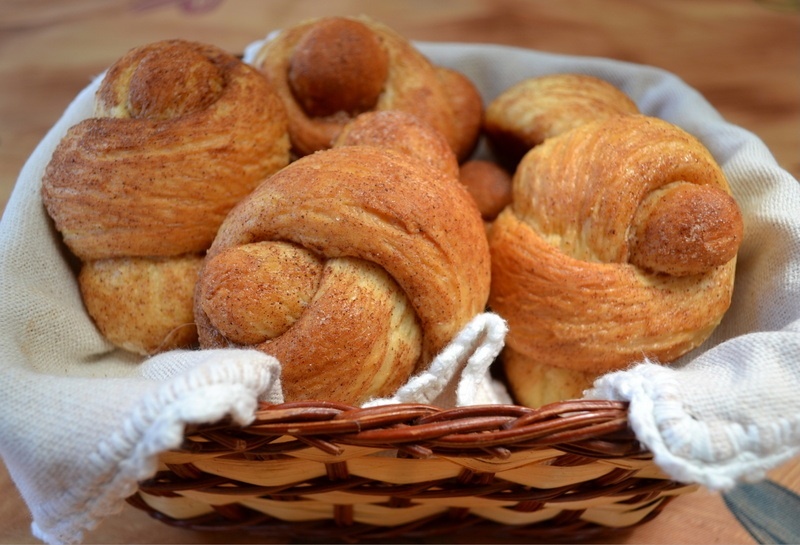 Brioche is a French pastry and is made in the same basic way as bread, but the dough is as rich as a pastry because of the extra addition of eggs, butter, liquid (milk, water, cream, and, sometimes, brandy) and occasionally a bit of sugar. Brioche is often baked with fruit or chocolate chips and served as a pastry or as the basis of a dessert. It is ideal for making French Toast due to its dense texture. 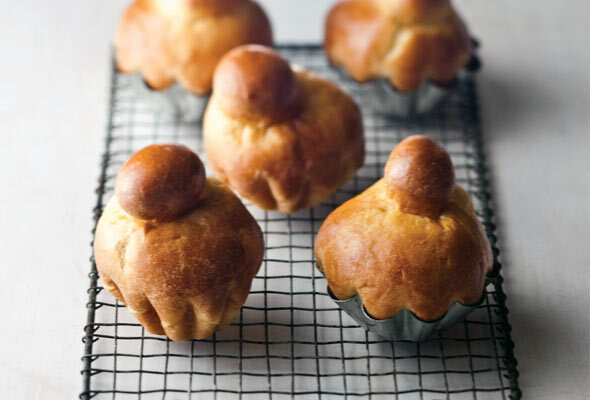 The dough can be baked in any loaf pan, but the classic Brioche shape is achieved by using special fluted brioche moulds or a big Brioche mould (see images below). The traditional shape of a brioche is that of a round lump topped with another smaller round lump or topknot (hence its original name, meaning “with a head”), though it can be baked in regular loaf or muffin tins with great success. Both the large and individual brioche moulds (pictured below) can be used for a variety of different recipes, for instance my Orange, Almond and Polenta Cake (see picture below). Mix the yeast with the cake flour in a small mixing bowl before adding it to the rest of the ingredients, except the extra flour, in the bowl of a stand mixer and beat well. Add sufficient of the additional cake flour to form a soft dough. Knead lightly on a floured surface for 4 to 5 minutes until smooth. Flour the bowl, return the dough to the bowl, cover and allow to rise in a mildly warm spot for about 30 minutes or until doubled in size. Pre-heat the oven to 180°C and grease 12 x 9 cm-wide brioche tins with butter. Knead down the dough lightly and shape the dough into 12 equal portions. Divide each of the 12 portions into a larger portion and a smaller portion – the smaller portion should be one quarter the size of the larger portion. Transfer the larger portion of dough in the bottom of one of the brioche tins. 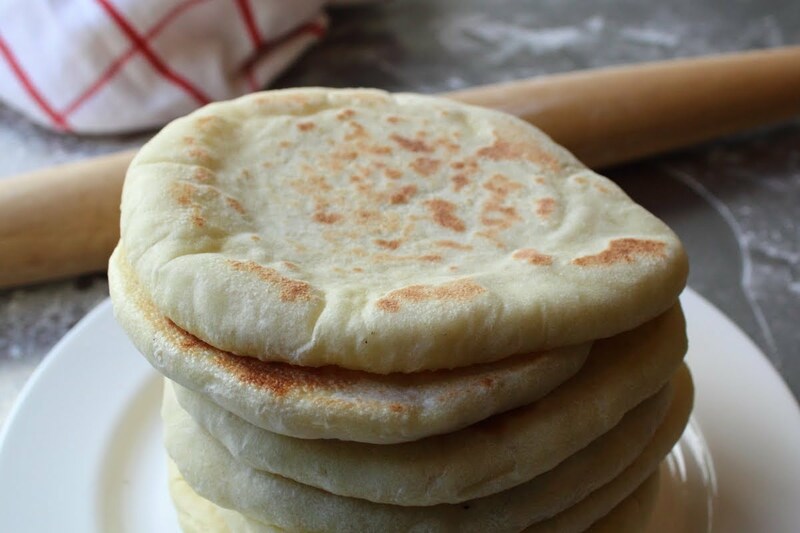 Force a hole into the center of the larger portion of dough with your fore finger, reaching all the way down to the bottom of the tin, and stick the smaller ball in the hole. This keeps it from popping off during baking. Place the tins on a baking pan and lightly brush the tops of the brioche with the egg glaze. Allow it to rise in a mildly warm spot until doubled. Bake for 18 to 20 minutes or until golden and firm. Allow to cool in the tins for a few minutes before removing to a cooling rack. Serve warm with butter only or sweet or savoury accompaniments as preferred. The dough can also be baked in a 12-hole muffin pan or a large brioche mould. Recipe adapted from French Brioche Rolls, Art Of Cooking page 842. 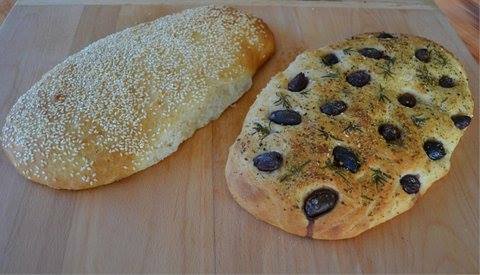 This impressive-looking bread is much easier to make than it looks! 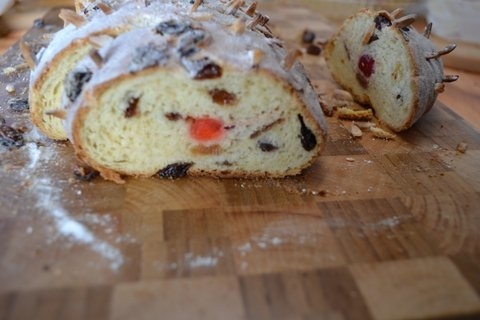 It can easily be adapted by replacing the filling with alternative sweet or savoury fillings. To make the filling, place the spinach, spring onion, garlic and salt in a large saucepan and sauté gently until wilted. Transfer the spinach mixture to a chopping board and chop it finely. Transfer the spinach mixture to a mixing bowl and add the cheese. Add the cake flour if the mixture looks wet. Mix well and set it aside to cool. Place two Wizbake baking sheets on a work surface and place the dough on the sheets. Use a pastry cutter and cut the dough into two equal pieces. Use a rolling pin and roll both pieces of dough into circles (about 50 cm in diameter) and set it aside. Pre-heat the oven to 170º C.
Combine the egg and water in a small mixing bowl and brush it all over one of the dough circles with a pastry brush. Scoop a few tablespoons of the filling into the middle of the dough circle. Scoop the rest of the filling 2 cm away from the edge of the circle (see photo below). Cover the first dough circle with the 2nd dough circle and cut away the excess dough. Use cupped hands and gently press into the dough around the filling to get rid of any air between the two layers of dough. Pinch the edges of the two circles lightly together. Use a pastry cutter and cut the dough at 2 cm intervals so that it looks like the petals of a flower (see photo below). Leave a circle (10 to 15 cm in diameter) in die middle of the dough. Brush the dough all over with the egg glaze. 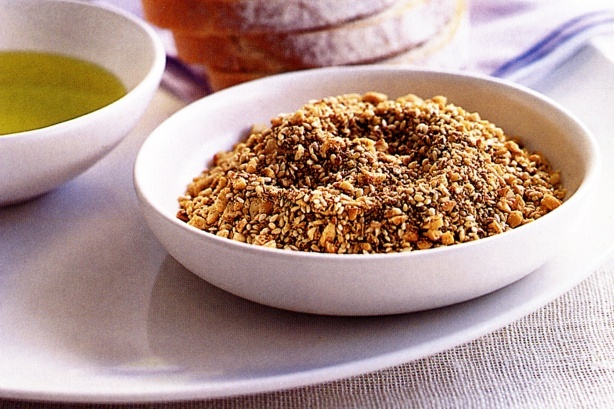 Sprinkle the poppy seeds onto the mound in the centre of the dough. Transfer the Wizbake sheet with the dough to a baking sheet and place it in the oven. Bake the bread for 30 to 40 minutes or until golden brown and firm to the touch. Transfer the bread to a cooling rack to cool slightly before serving. 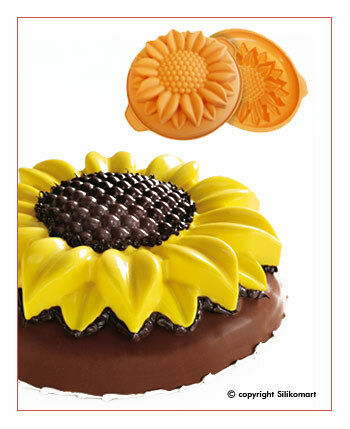 The bread can also be baked in a Silikomart Sunflower mould (see photo below). Click here for the recipe for the Milk Pudding dessert pictured below. 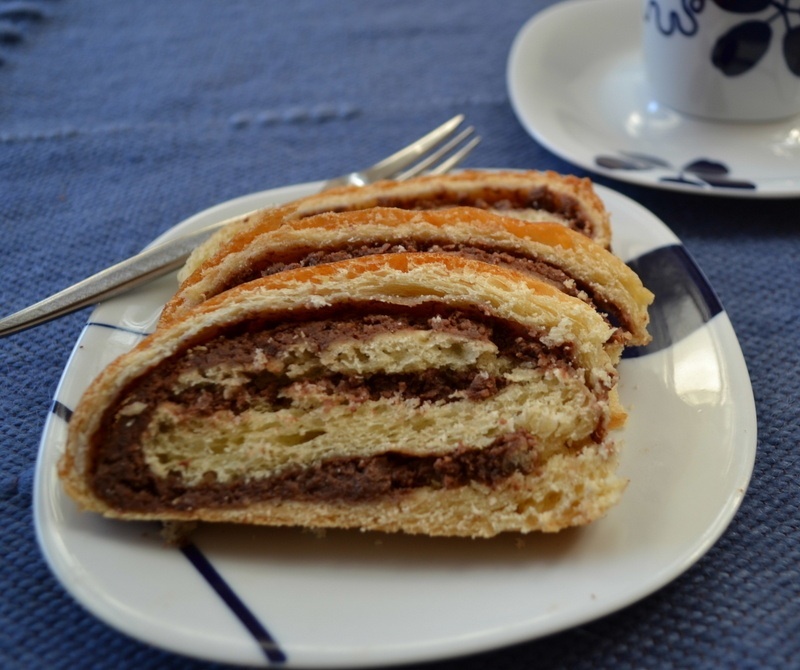 Use a rolling pin and roll both pieces of dough into circles (about 50 cm in diameter). Scoop a few tablespoons of the filling into the middle of the dough circle. Scoop the rest of the filling 2 cm from the edge. Brush the dough with the egg glaze. Lift up one petal at a time and twist it to the right. Do the same with the rest of the petals. 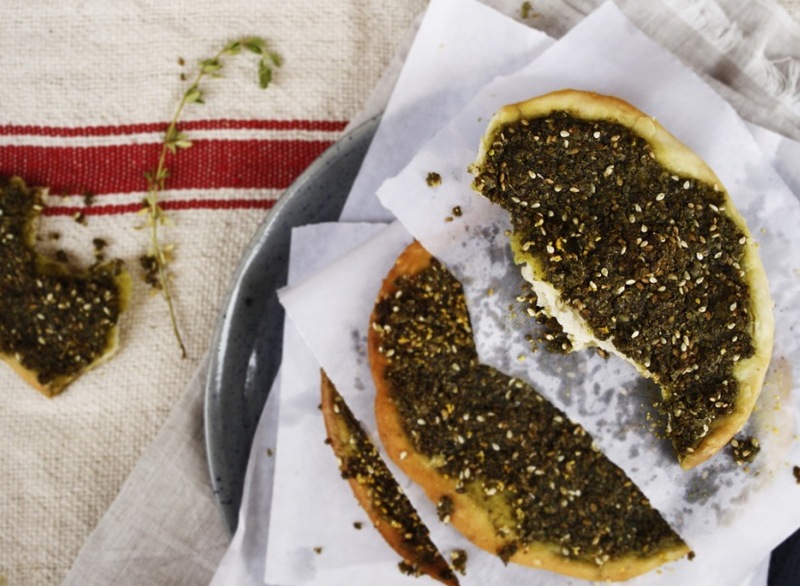 Brush the dough all over with egg glaze and sprinkle the poppy seeds onto the mound in the centre of the dough. 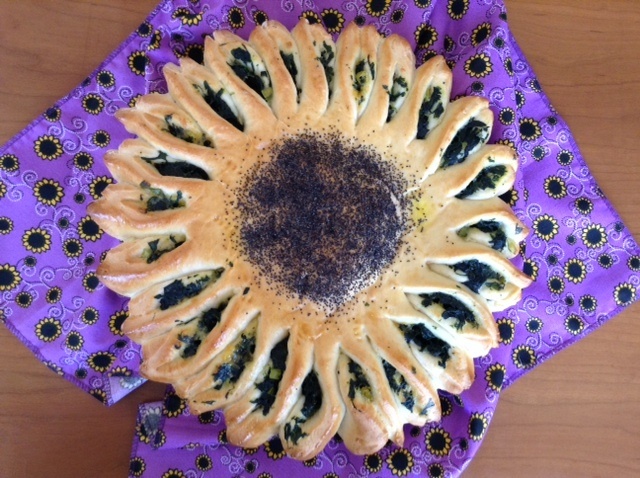 Serve your sunflower-shaped bread and wait for the complements! 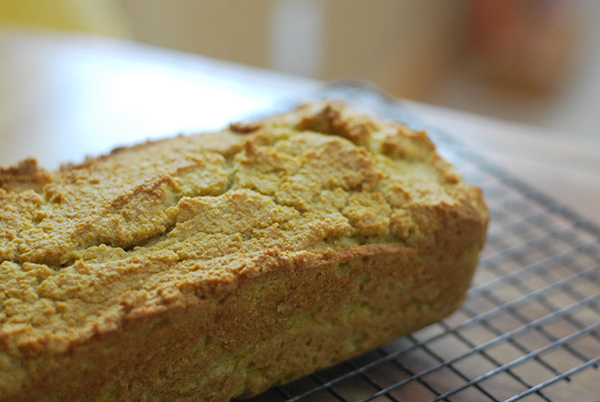 A quick bread with a difference! The flavour is excellent and texture tender and moist. Serve as is or with butter or enjoy on the side with any main course or soup or top with savoury topping such as sliced avocado. Pre-heat the oven to 180 º C.
Line a medium size loaf tin (± 22 x 12 x 6 cm) with baking paper and grease with melted butter or cooking spray. Or use a 22 cm ring pan and grease generously with butter. Place the dry ingredients in a mixing bowl and mix evenly. Add the sweetcorn, milk, eggs and butter or oil and stir only until evenly combined. Spoon into the prepared tin or ring pan. Bake the ring about 20 minutes or the loaf for about 25 to 30 minutes or until light golden brown and firm and a cake tester comes out clean if inserted. Allow to cool at least 10 minutes before removing carefully. Allow to cool before slicing to serve. Store refrigerated and toast lightly if preferred when required. Oat bran is considered acceptable as gluten free by most who are gluten intolerant. For coeliacs or if you suspect that you are intolerant of oatmeal, use additional maize meal or polenta. 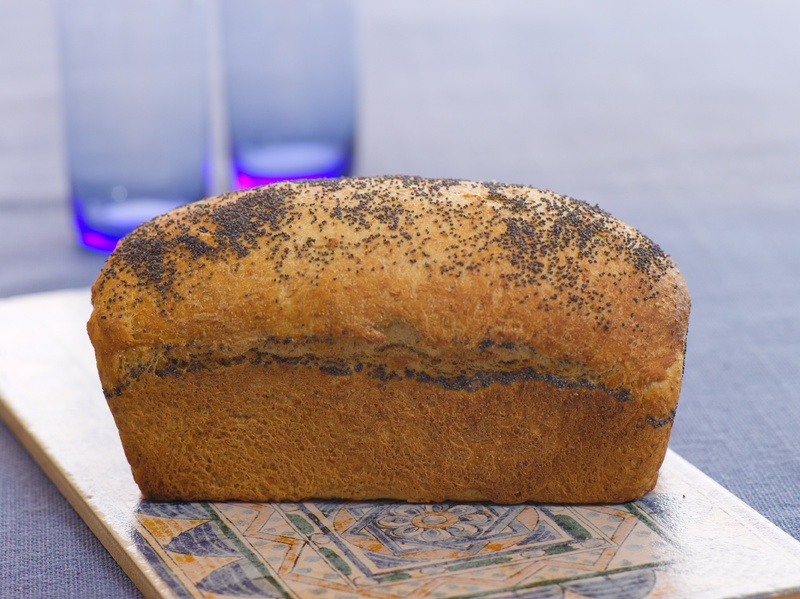 The loaf is good as is but adding optional ingredients adds interesting flavours and variations. The loaf may be sliced and frozen and toasted from frozen when required.